Welcome to the jungle! House of Cultivar plants looking happy and welcoming as we toured the garden. It all starts in the lab, using a test tube and the tissue culture process. Test-tube babies being developed and grown before they can be transplanted into soil. Happy ladies at the House of Cultivar Garden! Jason, one of the owners of House of Cultivar gives us a tour and shows the different stages of the process, from lab conception all the way to the final stage prior to harvest. The dry and cure process at House of Cultivar SODO facility. All the happy nuggets just waiting to be bagged up and enjoyed! Nugs curing to perfection! 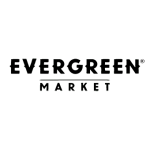 You can pick up House of Cultivar cannabis at any Evergreen Market location. We love big buds and we cannot lie! Side profile looks real nice on this female. Head on she is even more beautiful! House of Cultivar produces top shelf cannabis. Trichomes shine and sparkle like diamonds on these House of Cultivar buds. We loved looking at these bright colored flowers with their orange hairs contrasting against the green of the bud. Want to enjoy crystalized buds like these? Swing by any of our three locations and find the right strain for your needs. We hope you enjoyed this visual tour of House of Cultivar. Visit our Auburn location next week on Thursday, October 19th for Vendor Day and get to meet their staff! Pick up their flower and preroll products on discounted special 4-7pm that day and get any of your questions answered by their knowledgable and eager staff. Thanks for the tour, House of Cultivar! House of Cultivar on Sale this Week at Evergreen Market!